1984 C. Whitney Brown Seminars begin. April 27: Hassell Hall, home of the music department, is dedicated. 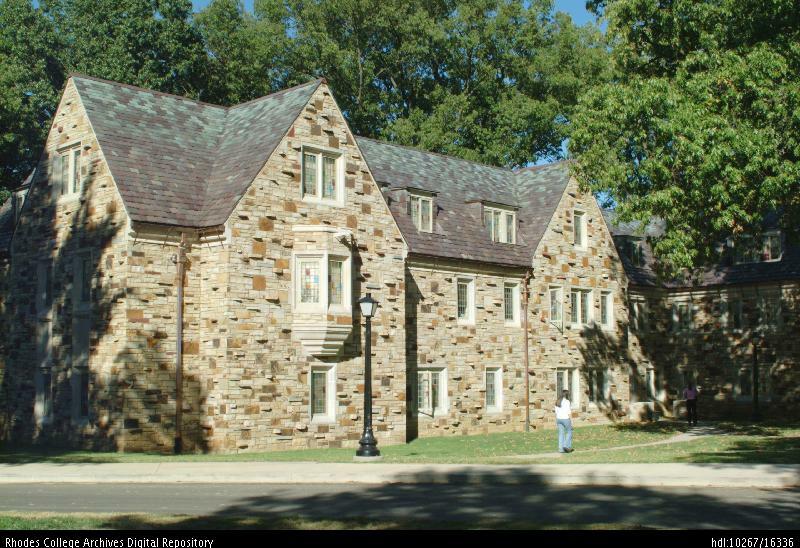 Board votes to change the name to Rhodes College in June. June 25: Construction of the East Hall dormitory begins. July 1: Southwestern at Memphis becomes Rhodes College. November 14: Dr. Peyton Nalle Rhodes dies. December 28: The seal of the College is placed in Palmer Hall Cloister. 1985 The East Hall dormitory is opened. The Lillian and Morrie A. Moss Endowment for the Visual Arts is established, to bring to the College guest lecturers and scholars in the fields of art and art history. Frank M. Gilliland Symposium is established. W. K. Kellogg establishes Food For Thought. April 18: Seal of the College in cloister dedicated as Benefactors′ Circle. 1986 February 25: Picard/Menke Sound System for the hearing impaired is first used in Hardie Auditorium. The Center for Counseling and Career Services is established. May: Rhodes is labeled in Time Magazine as one of the country′s "Nine Nifty Colleges." 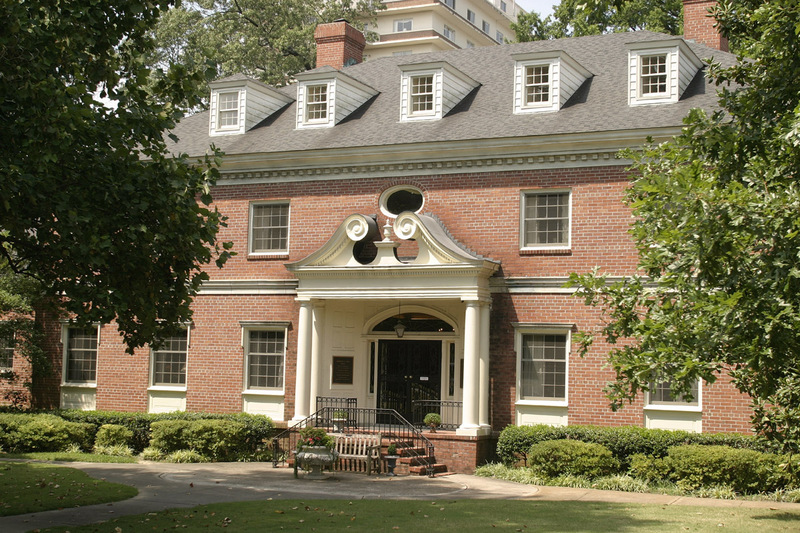 Pi Kappa Alpha national headquarters is purchased by the College. September: Man Course is taught as "Search." October 25: The W. Raymond Cooper portrait is the first Distinguished Faculty Portrait unveiled. November: Satellite dish is placed in the Wilma Hindman Garden in Frazier Jelke Science Center. 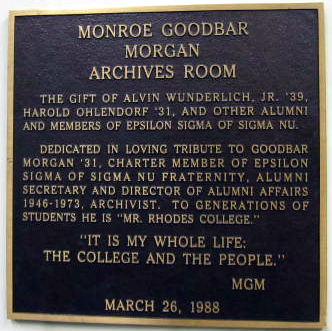 1987 The Archives collection moves to the Library’s reading room, named for Monroe Goodbar Morgan ′31. Rhodes celebrates the 50th anniversary of the Seidman Trophy in Athletics. Renovations on the Burrow Refectory are complete. Spann Place townhouses are built and dedicated. M. L. MacQueen, 2nd Distinguished Faculty Portrait unveiled. Campus Green Efforts and BACCHUS (a non-profit which focuses on comprehensive health and safety for college students) are initiated and organized by students. 1988 Rhodes In Europe begins. Monroe Goodbar Morgan ′31 dies. Charles E. Diehl Society Award for faculty service is established. David M. Amacker, 3rd Distinguished Faculty Portrait unveiled. First Tex-Mex Trip takes place. 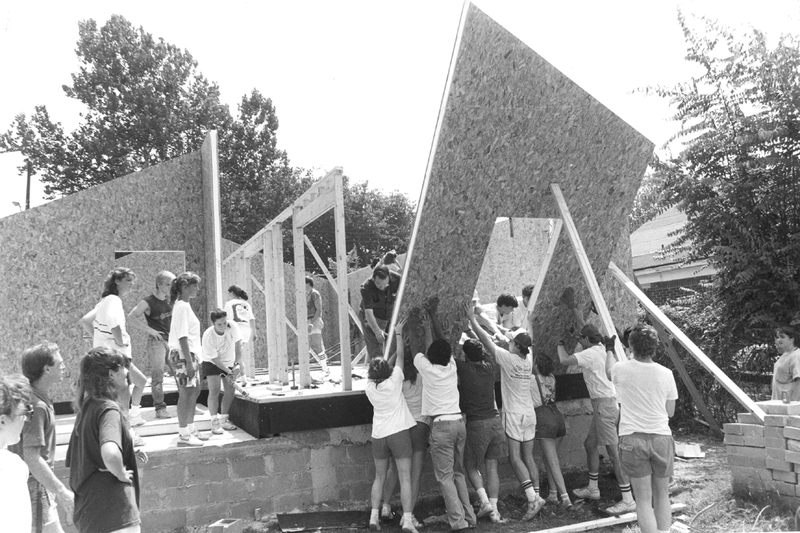 Habitat for Humanity Chapter is chartered. 1989 East Hall is renamed Robinson Hall, in memory of James Dinkins Robinson. October 7: John Quincy Wolf, 4th Distinguished Faculty Portrait unveiled. December 10: Alpha Kappa Alpha is chartered; the first traditionally black sorority on campus. 1990 Cross country and women′s volleyball take conference titles. Men′s soccer team travels by air for the first time to play Trinity. Basketball coach Herb Hilgeman gets 200th win. Buckman Hall ground breaking ceremony takes place. Iron fencing completed around perimeter of campus, 7000 ft.
Kinney sponsors first Hunger and Homelessness week. Dean′s Award for Research and Creativity to Dr. Jack Taylor ′44, Physics Dept. Jack D. Farris, 5th Distinguished Faculty Portrait unveiled. Delta Sigma Theta sorority chartered as second black sorority on campus. 1991 Gatehouse at Snowden entrance is constructed. Special Studies Building renamed Dorothy C. King Hall. Dr. Pohlmann receives the Dean′s award for research and creativity. Col. David Likes, professor of International Studies, portrait unveiled. Fred W. Neal, 6th Distinguished Faculty Portrait unveiled. Kinney Program adopts Snowden school. Mock Trial team takes the national title. The Student Development Center and the Office of Career Services are established. First International Food Fest takes place. Karen Conway becomes the first Director of Multi-cultural Affairs. Dr. David Jeter receives the Charles E. Diehl Society Award for faculty service. 1992 The President′s House on Morningside is purchased. Dr. Steven L. McKenzie receives the Dean′s Award for research and creativity. John Henry Davis, 7th Distinguished Faculty Portrait unveiled. Bonner Scholars program starts service scholarships. 1993 SCAC President′s Trophy for best overall record. February 19: First Faculty Open House at the president’s new residence, 91 Morningside Drive. Plans for the Bryan Campus Life Center (BCLC) are announced. The 150th Anniversary campaign is announced. May: Granville D. Davis portrait unveiled. Charles I. Diehl, 8th Distinguished Faculty Portrait unveiled. October: Rhodes reveices a gift of teak garden benches, one by Abston and one by the Class of ′93. December 28: Switch to fiber optic long distance telephone service. Christmas tree lit on south lawn near N. Parkway. 1994 February 11: College closes for the first time since the Civil War, due to an ice storm. March 16: Silk Stockings, a women′s singing group, is organized. September 7: Women′s Soccer team tours in Finland. October 1: Danforth R. Ross, 9th Distinguished Faculty Portrait unveiled. 1995 February 27: University Room is named for Emerson A. Alburty. First women′s golf team forms. April 20: Groundbreaking for Bryan Campus Life Center. October 14: Laurence F. Kinney, 10th Distinguished Faculty Portrait unveiled. 1996 Students begin work with VECA on V&E Greenline. April: Campus Redbud tree designated National Champion. May: First year diploma covers are used at commencement. 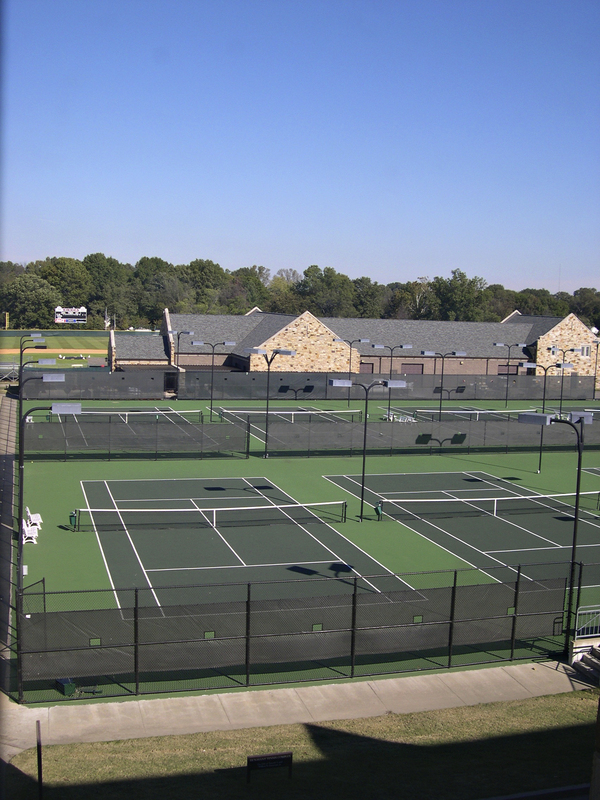 July: Tennis courts are moved to north side of BCLC. August: Bookstore expands to two floors in Briggs Student Center. Voice mail is installed on campus. 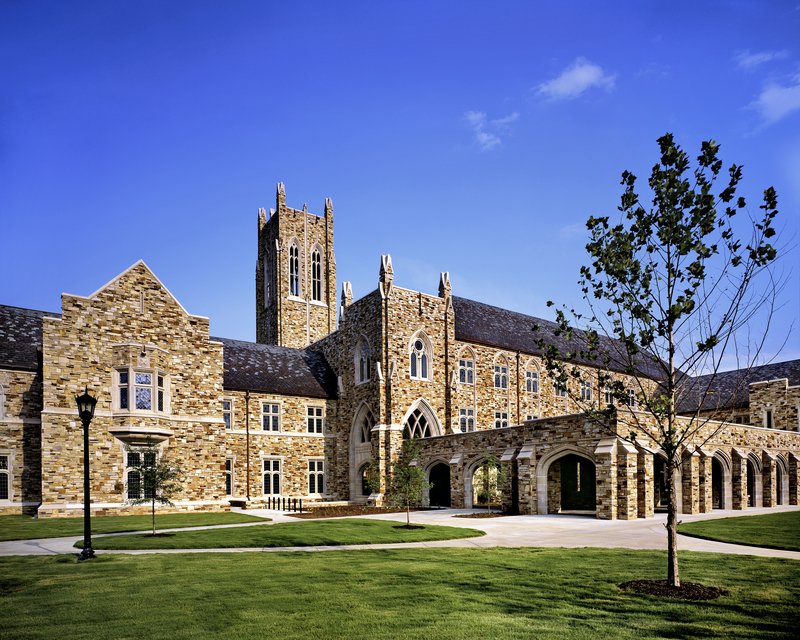 October 17: Dedication of Blount Hall takes place. October 26: Robert L. Amy, 11th Distinguished Faculty Portrait unveiled. 1997 First indoor track meet competition takes place. Dedication of BCLC and Grand Opening of Lynx Lair. Alexander P. Kelso, 12th Distinguished Faculty Portrait unveiled. Telephone number prefix becomes "843." First senior graduation toast at commencement. John Templeton Foundation names Rhodes to 1997/8 Honor Roll for Character-Building Colleges. 1998 British Studies celebrates thirty years of success. First Rites to Play takes place in the spring. Chaplain′s office organizes Servant Leaders Program. Swimming and Field hockey are added as varsity sports. September 22: Craig Solomon Practice Fields dedicated. First women′s field hockey game vs. Sewanee. Belz-Saharovici Award in Holocaust Studies is established. Wind storm damages many trees on campus; college closes for one day. October: The Sesquicentennial Celebration takes place, with the Anniversary Walk and the 150th Celebration Ball. Smith and Nephew Conference Center opens. Kappa Delta Epsilon, education honor society, is founded. Library stayed open to 2 AM for the first time during exams. Rhodes is named one the nations′ "Most Wired" colleges. 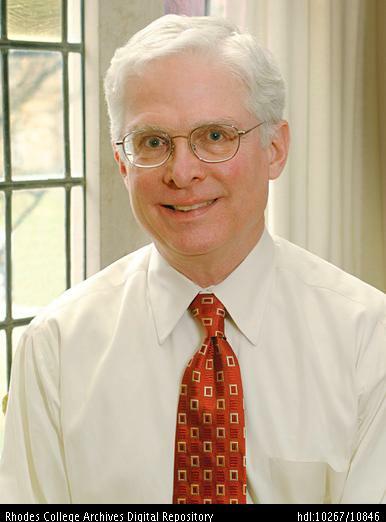 1999 March 31: Dr. William Earl Troutt named 19th president of the College. 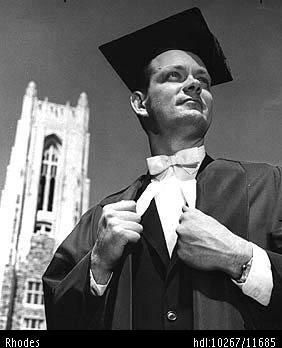 October: Tony Lee Garner Court is dedicated to the Singers conductor who died in 1998. The sundial is constructed by faculty to honor Pres. James H. Daughdrill, Jr.
2000 February: Crew club forms. Coffee Bar opens in Briggs Student Center. April 14: Pres. William E. Troutt Inauguration takes place. 2001 January: Annual four-mile classic named for Mike Cody. February : Up All Night occurs, to benefit Le Bonheur Hospital. St. Jude Partnership in Student Research is created. 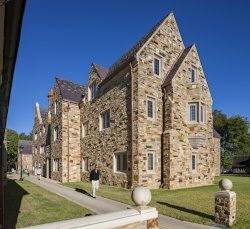 Rhodes College is selected as a Thomas J. Watson Foundation School. August - The East Village dormitory opens. 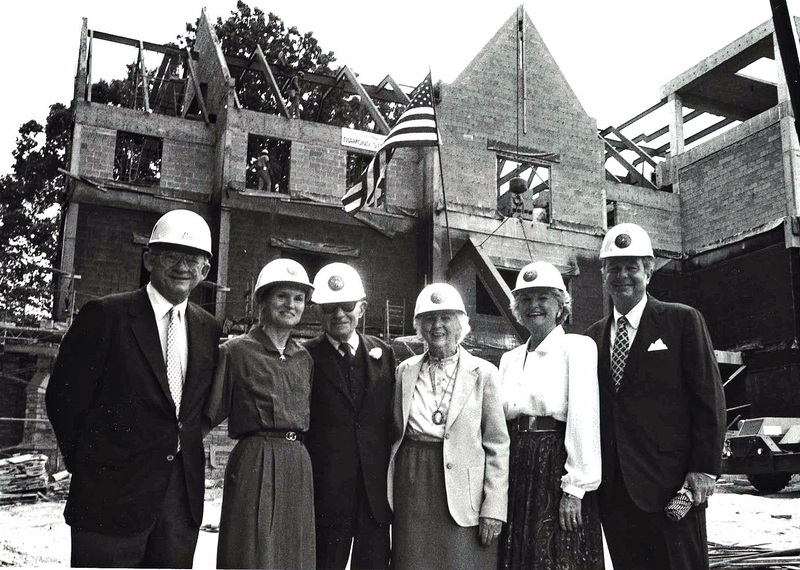 2002 Groundbreaking for Paul Barret Jr. Library takes place. $6 million grant from the Robert and Ruby Priddy Charitable Trust helps underwrite several programs. John Churchill ‘71 speaker at Opening Convocation. Mother Jones Magazine names Rhodes one of the top 10 activist colleges. 2003 Fall: Burch Scholars renamed Rhodes Service Scholars. April 11: Teacher Education Agreement is formed between Rhodes and Vanderbilt. December 1: Rhodes Learning Corridor is formed with U. S. Department of Education Grant. 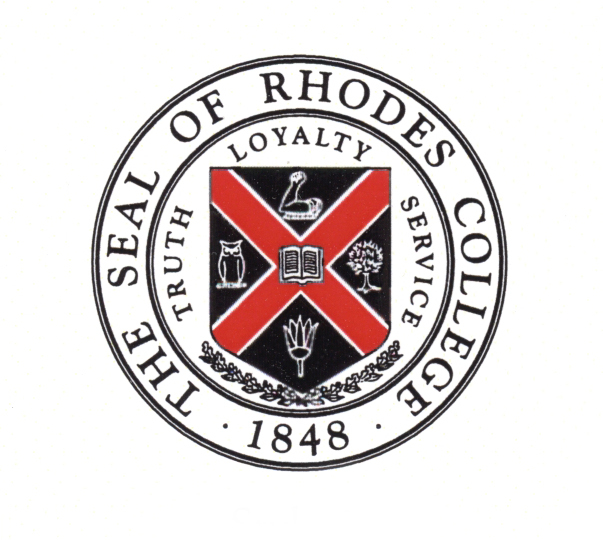 2004 March 18: Rhodes is selected for the Companies that Care Honor Roll. March 20: Wireless network is expanded to 16 different areas of campus. March 30: Ben Stein is the first speaker of the Student Lecture Series. April: Pi Delta Phi, the French Honor Society, is chartered. The Rhodes Student Associate Program is launched. 2005 May 10: Book Brigade from Burrow Library to new Barret Library. May 27: Burrow Library closes. June-July: Books and staff move to Paul Barret, Jr. Library. July 18: Paul Barret Jr. Library opens to public. Paul Barret, Jr. Library dedication takes place. CODA, the Center for Outreach in the Development of the Arts funded by the Priddy Foundation. 2006 September: The new addition to the McCoy Theatre is dedicated. September 19: Alpha Omicron Pi, Chi Omega, Delta Delta Delta & Kappa Delta sorority lodges are added to the National Register of Historical Places. October: $5 million gift for the Mike Curb Music Institute. 2007 April 25: Crossroads to Freedom, a digital archives of primary materials documenting the civil rights era in Memphis, is launched. May 1: Consumers Digest ranks Rhodes as number three among the nation′s private liberal arts colleges. June 12: Teagle Foundation Grant for college-community partnerships. June 13: The new Paul Barret, Jr. Library is recognized as a "Project of Distinction." August 24: An online course is taught by Dr. Robert Llewellyn. September 6: The Lynx Lair reopens after renovation. 2008 Rhodes-Memphis Colloquium on Religion and Science takes place. May: Lynne Blair, Library Director, retires after 32 years; Darlene Brooks becomes the new director. 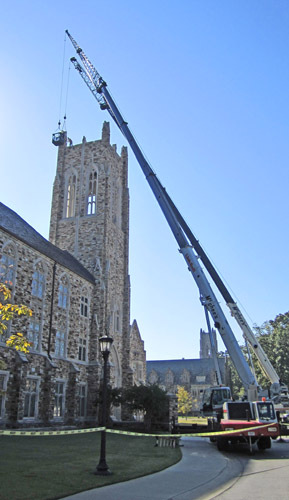 August 7: Rhodes Radio can now be heard on 92.1 FM around Midtown, due to the installation of a new antenna on the roof of Briggs. November 18: Rhodes is named among the nation’s top institutions for study abroad. December 15: Becca Clarin, goalkeeper on the women’s soccer team, is the first Lynx to be named to an NSCAA All-America Team. 2009 January: Burrow Library reopens as Burrow Hall. January 8: Rhodes women′s soccer coach Bobby Lessentine is recognized as the 2008 NSCAA South Region Coach of the Year. 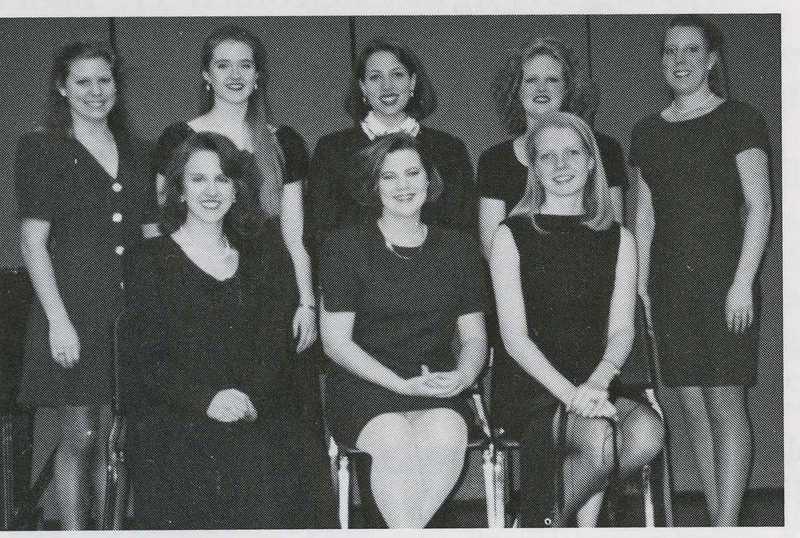 March 25: The Rhodes Singers go on tour. Women’s Studies changes its name to Gender and Sexuality Studies. April 28: Women′s track and field take a second conference title. May 8: President Troutt receives Vanderbilt’s Distinguished Peabody Award. 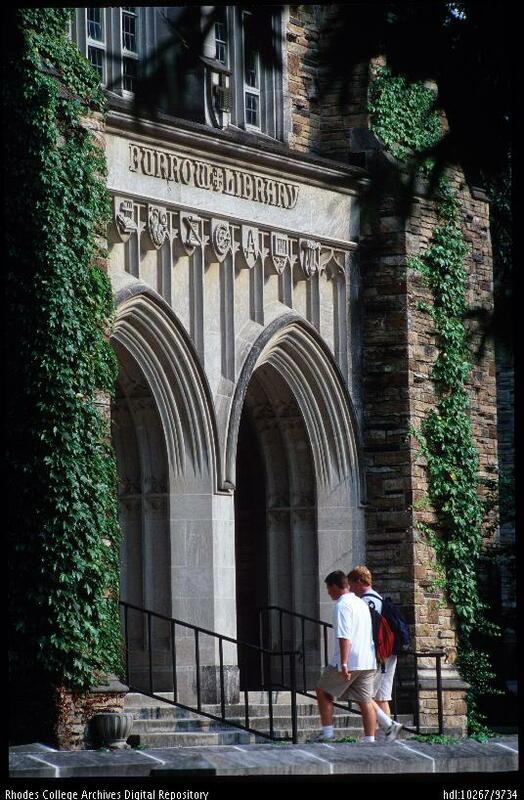 August 11: Rhodes is ranked #62 in the Forbes report on America’s Best Colleges. September: The men′s golf team is ranked second in the nation, according to the current Division III Golfstat rankings. November 14: The women’s cross country team wins its first ever NCAA Division III South/Southeast Region Team Championship. March 27: Volunteers from Kappa Delta, CASA, and Bonner Scholars help raise awareness about the need for child advocates, as part of the Lights of Hope Campaign. April 16-18: Rhodes hosts the 2010 American Mock Trial Association National Championship Tournament. April 26: Men′s Track & Field team wins the SCAC. May 4: Gordon Bigelow, Terry Hill and Darlene Loprete receive the Clarence Day Award. May 15: First Commencement celebration to be streamed live on the Rhodes website. 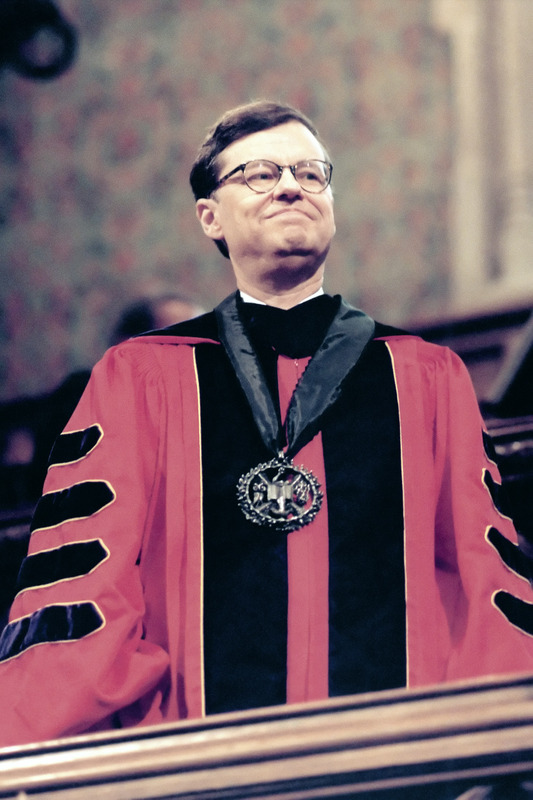 July 25 - Dr. John David Alexander ’53, the 16th president of the College, dies. August: Zipcar services come to Rhodes′ campus. September 20 – Rhodes Celebrates being named the Kaplan/Newsweek top Service-Minded School. November: The Women′s Cross Country team captures, for the 2nd straight year, the NCAA Division III South/Southeast Region Championship. 2011 February: First Annual Rhodes Tennis Indoor Invitational. Physics Professor David Rupke publishes groundbreaking astronomy research. March: Groundbreaking for new dormitory and refectory renovations. April: Bill Short is the 2011 recipient of the Award of Excellence presented by the Memphis Area Library Council. July: Finial on Barret Library tower damaged by lightning strike. July 26: Department of Economics and Business separates into two departments: (1) Economics and (2) Commerce and Business. September 19: Rhodes announces the formation of a new Tennessee Intercollegiate State Legislature (TISL) team. November 5: Tim Huebner’s History class is featured on C-SPAN3. 2012 February 25: First Varsity LaCrosse game played. August: West Village opens to residents. September 8: Crain Football Field named in recognition of Brenda and Lester Crain, Jr. Class of 1951,who provided funding for an artificial surface for the field. September: Farmer’s Market held in Barret Library Cloister. September 26: Announcement that the Department of Music has been accredited by the NASM.